Xiaomi is slated to host an event on May 31 in Shenzhen, where the company is expected to unveil its next flagship smartphone that will succeed last year’s Mi 6. Curiously, some reports seem to suggest that the company will skip the number 7 and market the device as the Mi 8. 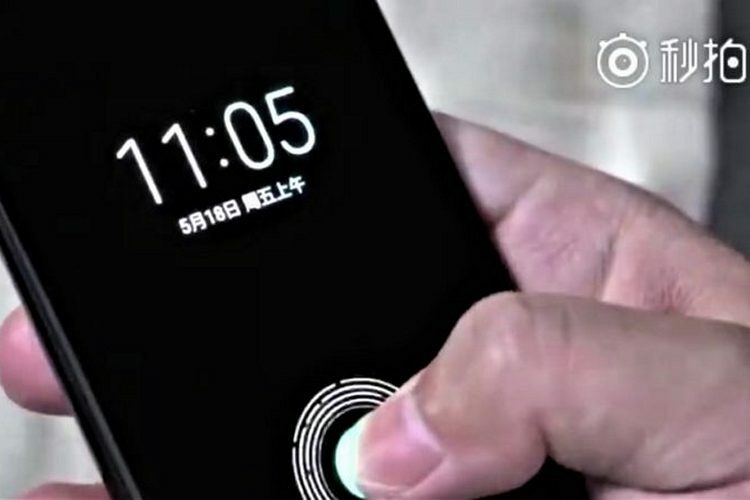 Whatever be its name, a new video, originally uploaded to Weibo, now seems to show that the device will, indeed, offer an under-display fingerprint scanner, as has often been rumored over the past few weeks. The clip is only three seconds long and it doesn’t show off the phone in its entirety, but it does show the under-display fingerprint scanner lighting up the moment the user places their thumb on the designated area of the screen to unlock the phone. There’s no way to confirm the authenticity of the video, but the software, as can be seen from a little glimpse of the home screen, does look very similar to MIUI 9. Apart from the under-display fingerprint scanner, Xiaomi’s upcoming device is also rumored to have a notch like many other Android devices this year, but unlike them, it will offer hardware-based facial recognition like the iPhone X. The device is also expected to ship with the Snapdragon 845 alongside up to 8GB of RAM, 64GB of internal storage and a 4,000mAh battery with support for wireless charging. The in-display fingerprint scanning technology is still in its nascent stages, and only a handful of devices are offering it right now. While the Vivo X20 UD and the Huawei Porsche Design Mate RS are two of the more notable smartphones that have recently been launched with the new feature, it’s expected to gain momentum in the coming months with more manufacturers expected to offer it in their own smartphones and tablets going forward.